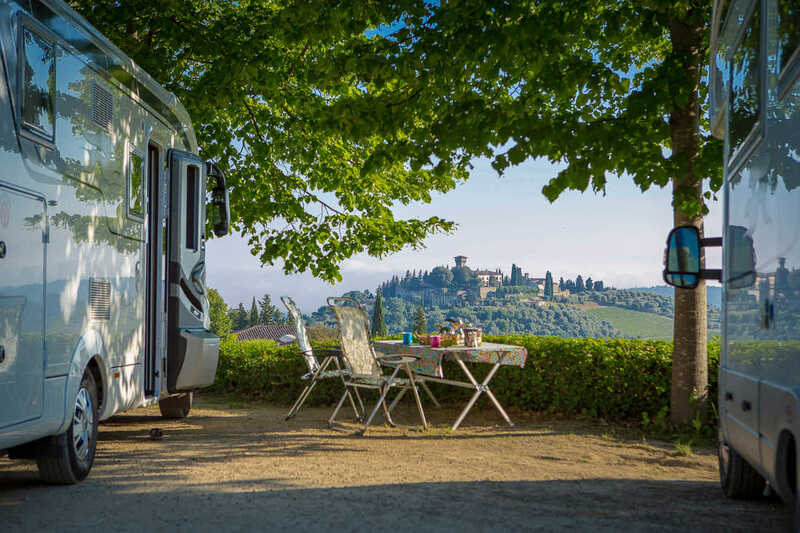 The camper is the ideal way to discover Tuscany's treasures like art, culture, landscape, nature and gastronomy. Although Tuscany is relatively small, you still need some time to get around because of the often narrow and winding roads through the rolling landscape. The region has many good locations for an overnight stay for the camper. 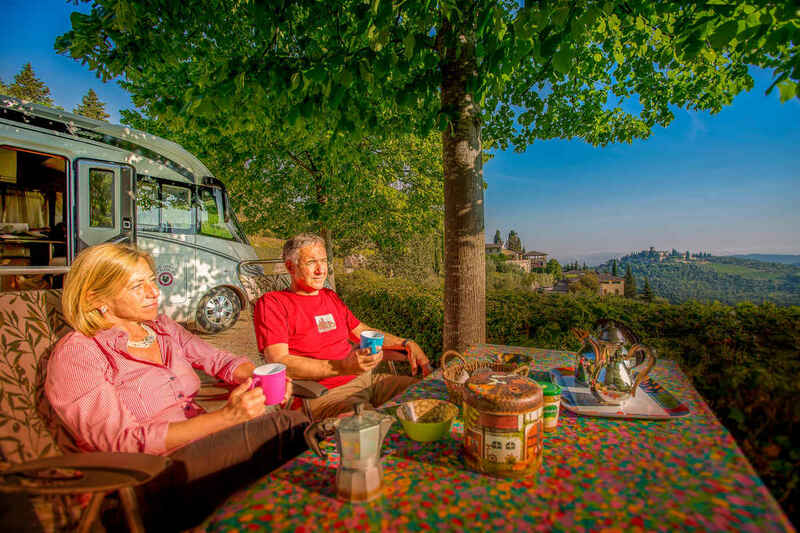 With the camper you can visit the small villages as well as the art cities like Florence and Siena. You can stop wherever you want and experience the real life of the Tuscan locals. You can follow the many wine routes along adorable little wine estates, imposing castles and beautiful cypress lanes. Or relax yourself in one of the famous thermal baths of Tuscany. 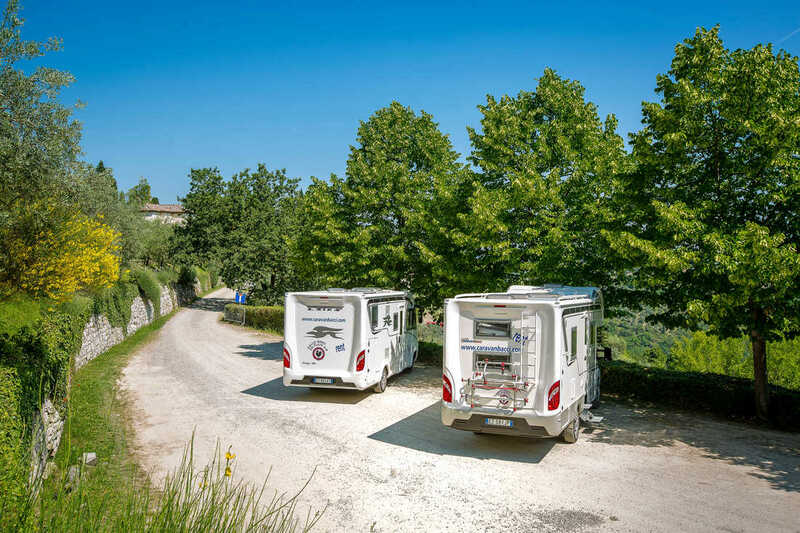 Triptoscana works together with Caravanbacci for the rental of campers. You can count on a reliable landlord with more than 40 years experience as a camper builder, your own workshop and extensive store for everything you need. 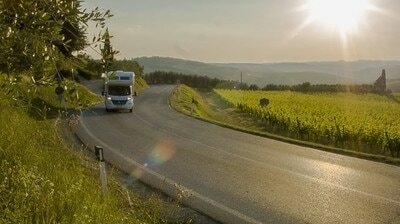 They have an extensive range of modern motorhomes in various price ranges. You are guaranteed to get the camper you have chosen in advance. 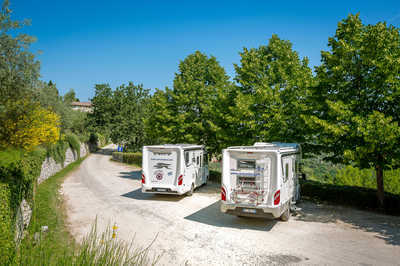 The campers are rented near the Pisa airport. No own car needed. In the rental are always new campers with the most modern technical facilities. They are fully furnished on request and are ready to go. 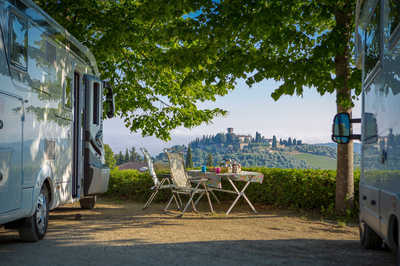 Also want to discover and experience Tuscany with a camper? Then contact us. In consultation we will put together a camper package for you that suits you.